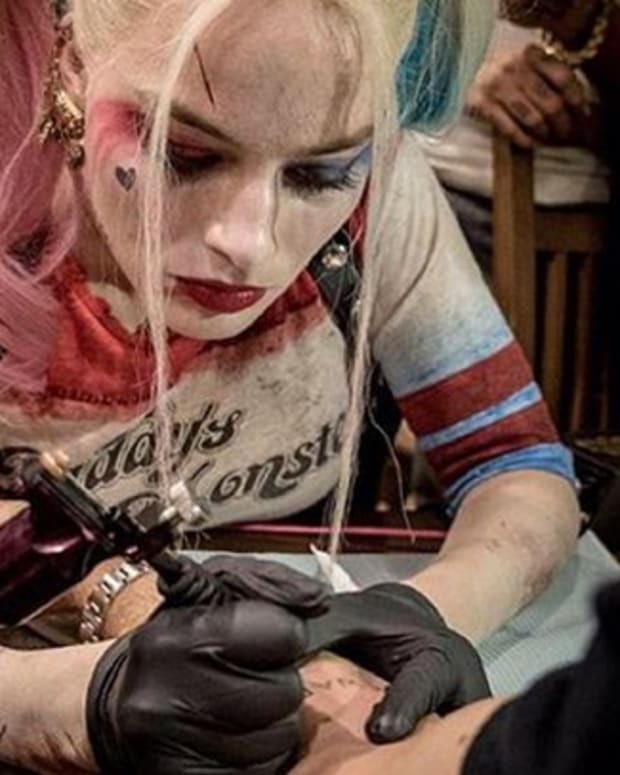 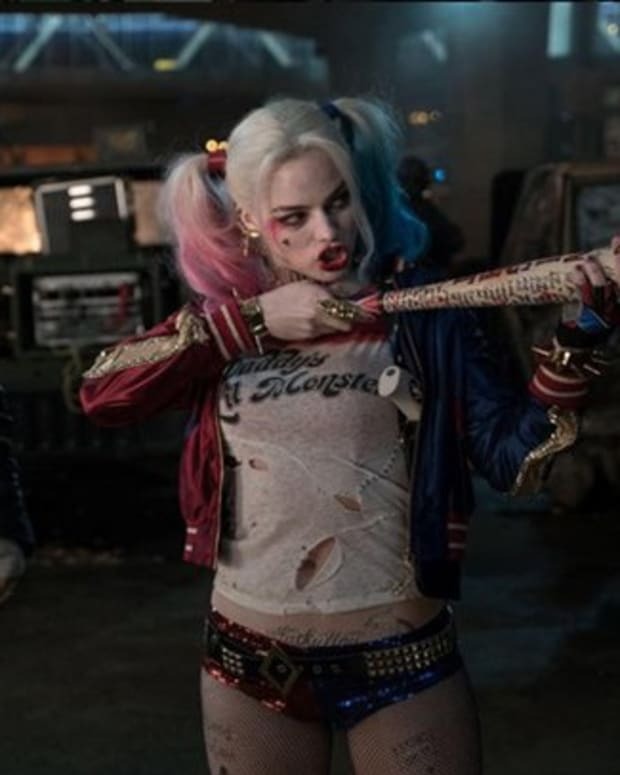 Margot Robbie apparently fancies herself a tattoo connoisseur these days, and during a recent appearance on The Tonight Show, the actress told Jimmy Fallon that she had already done “almost 50 tattoos” on her friends, including Suicide Squad co-star Delevingne. 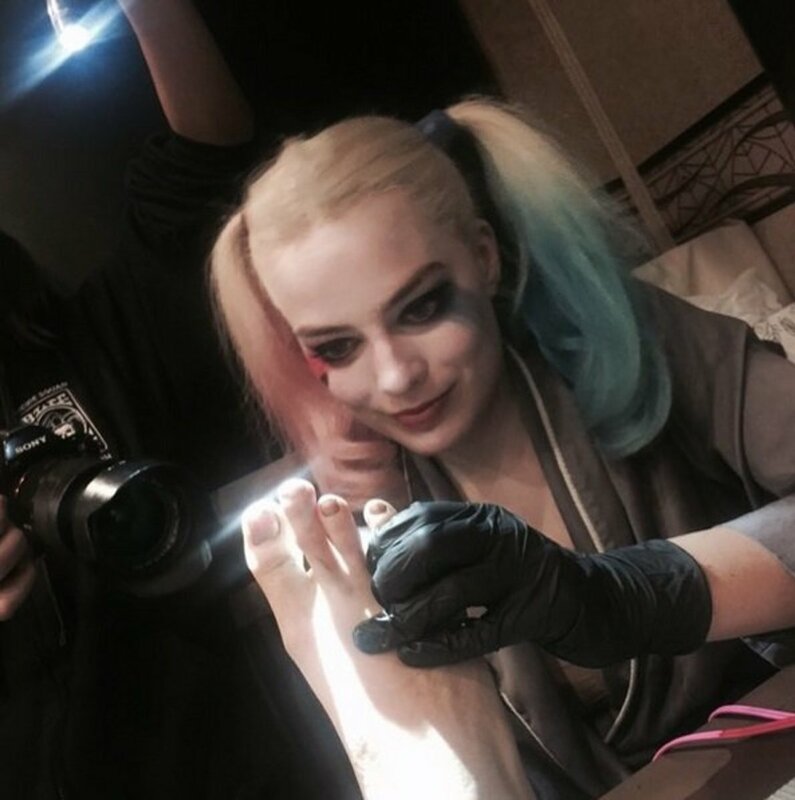 Fallon then proceeded to show the audience a photo of Robbie dressed in her Harley Quinn attire, actually in the process of giving Delevingne her famous “toemoji” tattoos on the set of the highly-anticipated summer flick. 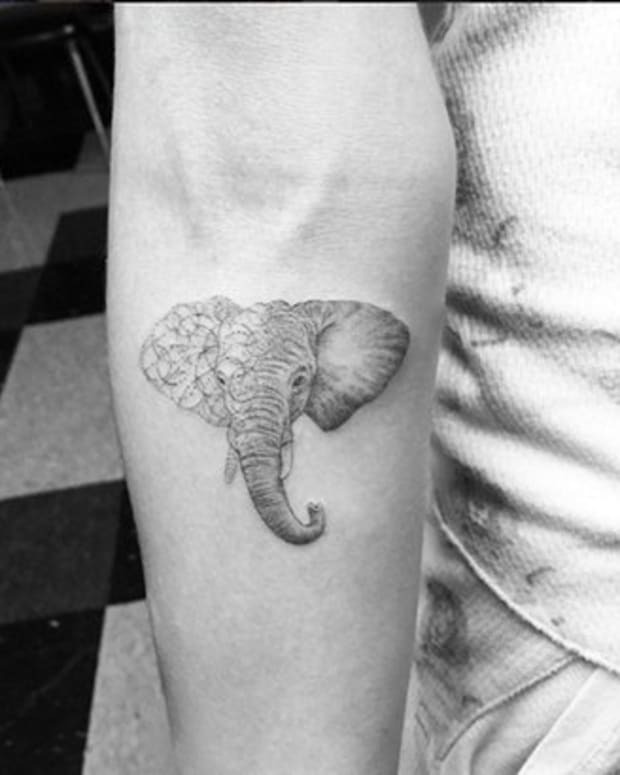 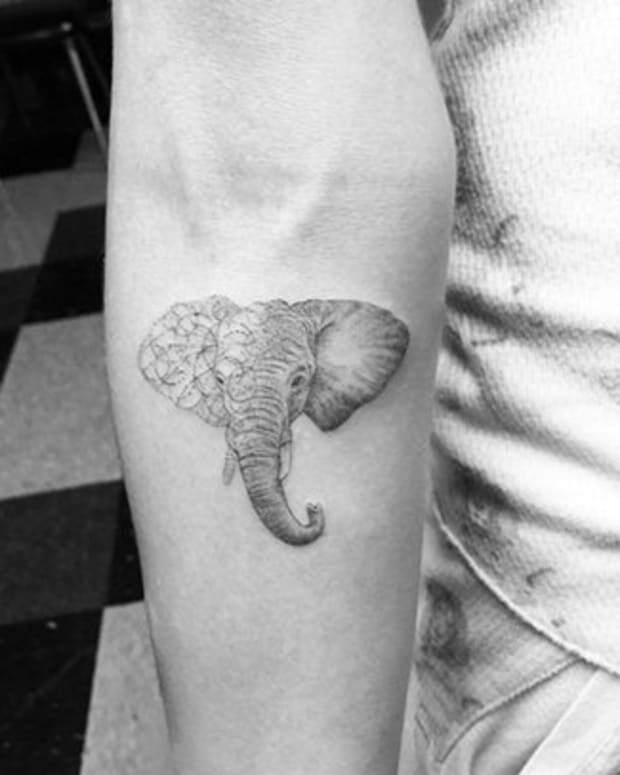 It appears that Delevingne may have returned the tattoo favor to someone else as well, because there is also an Instagram photo of the model, another would-be tattoo artist, giving someone else what looks like their own “toemoji” tattoos. 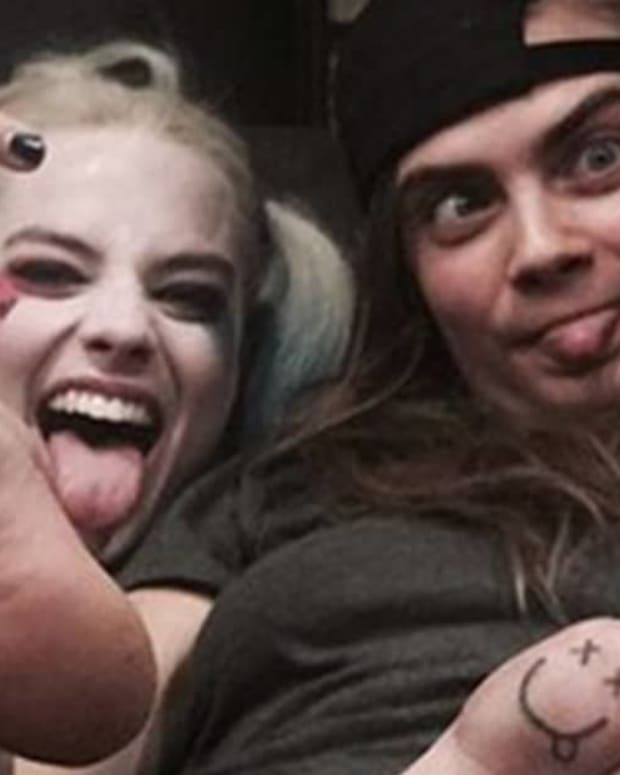 Happy 23rd Birthday Cara Delevingne!